Elegant home on quiet cul-de-sac. Hardwood floors in living room/dining room, french doors off dining room lead to outdoor living space. Remodeled kitchen with large center island and granite countertops, updated soft-closing cabinets. Brick fireplace in study/den with beamed ceiling. Custom-built master bedroom suite with large sitting room, master bath, double shower, double sinks, jetted tub, with full his and her walk-in closets. Four more gorgeous bedrooms on second level. Fully finished basement for entertaining with custom built 10-seat movie theater that could also be used as a recording studio. Large back yard with split-rail vinyl fencing, landscaped with tall privacy trees, and includes a gazebo and childrens swing set. Enjoy relaxing on two decks by the beautiful in-ground swimming pool. 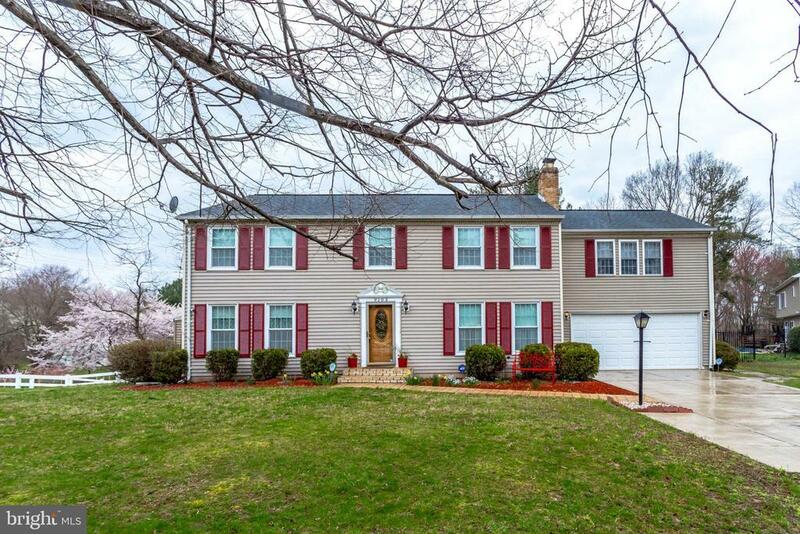 Pride of ownership is an UNDERSTATEMENT for this 5 bedroom/4 bathroom house in the sought-after Marlton Town community! This house is on a quiet cul-de-sac, making this an ideal, private and peaceful location. Located just 100 yards adjacent to the Marlton Golf Course. Best of all, this house is located within minutes of Route 301, Route 4, Route 5, and the Capital Beltway 495. Just minutes from Andrews Air Force Base.